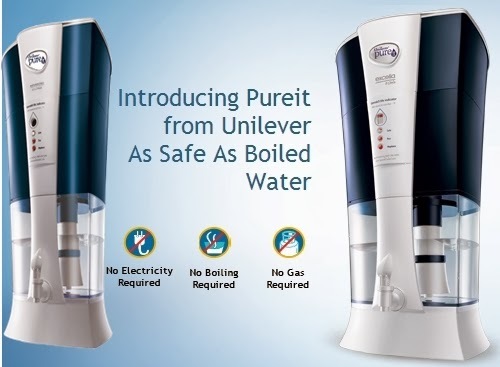 Unilever launched new dispenser to give you "As Safe As Boiled Water" for new PUREIT EXCELLA no need of gas, electricity and no boiling it comes with auto shut-off technology. In Pakistan and other countries where everyone have facing problem to get purify water. Now unilever try his best to overcome this "purify water" problem and give a chance to everyone to drink safe and healthy water at home, office in the form of PUREIT EXCELLA. It has unique 5 stage purification with Programmed Germkill Technology. It meets the stringent international criteria of (EPA), USA, for harmful virus & bacteria removal. Everyone can use this device its very simple and easy. you can get this device to all leading supermarkets and electronics/appliances stores in Karachi and Lahore.